Is proton therapy suitable for my disease? 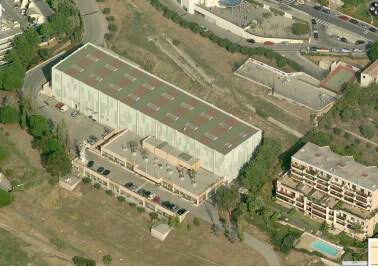 The Mediterranean Institute of proton therapy? The Mediterranean Institute of proton therapy is an internal entity of the Antoine Lacassagne Center and is located at 227 Avenue de la Lanterne, 06200 Nice. The Centre Antoine Lacassagne is one of the few institutions in Europe to have all the radiotherapy techniques from 50 KV to protons through brachytherapy, stereotactic radiotherapy (cranial and extra-cranial) robotized (Cyberknife), helical radiotherapy (Tomotherapy), image guided IMRT with dynamic arctherapy. 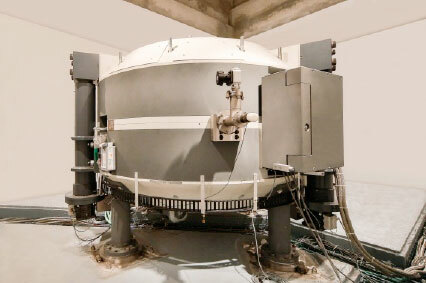 The Medicyc,proton therapy system 65 MeV (low energy), for the treatment of ocular tumors, commissioned in June 1991. In addition to the activities at the leading edge of technology, numerous clinical research activities, research and development in medical physics are made and are making the Mediterranean Institute of Protontherapy a platform integrating a true vision of medical research. This high-energy proton therapy system is an innovative technological breakthrough in many aspects compared to existing systems in the rest of the world. Designed by the IBA and AIMA companies, this new accelerator is four times lighter (only 55 tons) and consumes eight times less energy than current machines for the same performance. With its significantly lower cost compared to the global industrial supply. It foreshadows a major development for protontherapy in the years to come. Its maximum energy of 235 MeV can treat all deep tumors in the human body (up to 32 cm deep). The first prototype was installed in Nice on the West website of the Centre Antoine Lacassagne. Designed by IBA, the new beam line, whose mobility allows to direct the radiation beam in different impacts around the patient, provides unequaled compactness far, inducing associated costs of notorious drop construction. The first prototype of the isocentric rotating head (called “gantry”) was installed in November 2013 in the USA, it is the second version installed worldwide and it will be at the Centre Antoine Lacassagne in Nice. In addition to the intrinsic qualities of ballistic beams from a proton therapy system, this new prototype integrates a recent irradiation technique : Pencil Beam Scanning “PBS”, which allows to develop easier and more accurate treatment plans. PBS is a method of administration of proton therapy. A millimeter-small proton beam is directed through the target volume, layer by layer, pixel by pixel, to perfectly match the shape of the tumor. 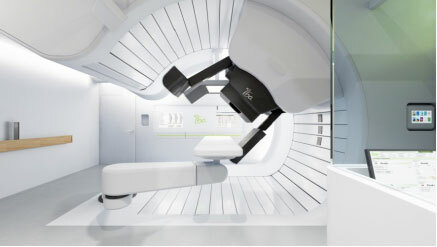 With this new proton therapy equipment, the Antoine Lacassagne Centre will be able to treat the usual tumors treated with conventional equipment but also inoperable tumors, or resistant (skull base, head and neck) or too close to organs at risk to be treated by conventional radiotherapy. Large, complex volumes are also possible indications for the high energy proton therapy by saving volume irradiated by the PBS technique. Finally, relapses in previously irradiated area are potential indications. It is also to pediatrics that this system will be intended due to the necessary precision for child tumor treatments to avoid the occurrence of radiation-induced cancers. 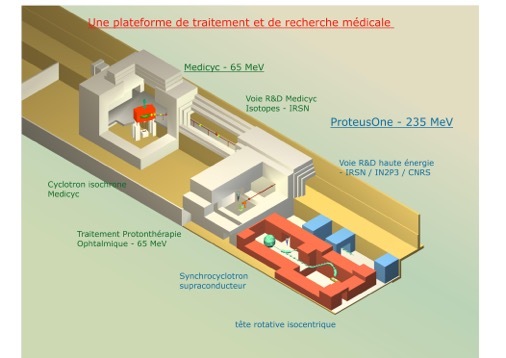 MEDICYC first proton cyclotron in France, is operational at the Centre Antoine Lacassagne since June 17, 1991, historic date of the first proton therapy treatment conducted in France. CIt is an innovative 65 MeV cyclotron, a world unique model, designed and built at CERN in Geneva and Nice by the Cyclotron Laboratory of the Antoine Lacassagne Centre, consisting of engineers and technical experts. This team continually contributes to the development of solutions around MEDICYC but also research and development activities. MEDICYC has treated to date more than 5,500 eye tumors with a beam with constant physical and therapeutic properties over the last 25 years with a local control rate at 5 years was 96%. The intrinsic qualities of MEDICYC, its operating consistency are recognized internationally. With a failure rate of less than 1%, the MEDICYC cyclotron is undoubtedly the safest radiotherapy machine that exists. The presence of a technical team on site, who participated in its design, is a major advantage which ensures the reliability of the equipment. Our experience in the field of ocular proton is primarily focused on melanoma of the choroid. Many patients come from France but also from neighboring countries (Germany, Spain, Italy …) although they have equipment able to treat ocular tumors with protontherapy. This is because the quality of MEDICYC cyclotron beam is one of the best in the world in the energy range considered. MEDICYC is a machine dedicated to proton therapy eye, with an energy of 65 MeV perfectly suited to this particular type of treatment. Phase I trial : during the first administration of a drug in humans or when testing new radiation patterns, you must first test whether these treatments are feasible and analyze their toxicities while beginning at the lowest doses; these patients are included in a Phase I trial. Phase II trial : Once a new drug or new radiotherapy strategy has shown it can be done without excessive toxicity, efficacy is evaluated with a phase II trial. The goal is either to achieve higher cure rates (elevated rates compared to what has already been reported for conventional strategies), or obtain lower toxicity or a better quality of life. Phase II trials typically include dozens up to hundred patients. Phase III trial : after the completion of phase II trial, or sometimes immediately, can be started a phase III trial that will compare the classic strategy rigorously with the new strategy. Patients will be treated with either one or the other strategy and compared. These trials tests include hundreds or even thousands of patients to respond to the question and last for several years. Phase IV trial: this kind of study analyzes all patients treated with the same strategy to assess precisely its effectiveness and side effects; analyzed treatments are already recognized as acceptable treatment for the indication. However analyzes of large cohorts of patients in phase IV trials allow to better characterize pros and cons of treatments. A prospective database that records dosimetric and clinical data of patients treated for ocular tumors by proton therapy has been kept updated since June 1991. It provides support for writing scientific articles. Clinical trials are promoted to improve the side effects of treatments. The research is oriented towards radiation detectors intervening in hadrontherapy for measuring the primary dose, secondary dose, realization of imaging or radiation protection. 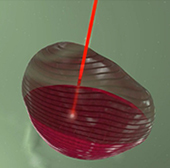 Research teams of INSA Lyon (INL), university and school ENSICAEN Caen, University of Dortmund -Essen and the University of Nice (UNSA) have irradiated scintillators and fibers to characterize them under proton beams. A laboratory the University of Lyon (IPNL) was interested in imaging the gamma-prompt to probe the proton path in patients. IRSN laboratories (Fontenay aux Roses and Cadarache) have experimentally determined the flow of secondary neutrons and doses likely to be received by patients. Laboratories of the UNSA and the University of Dortmund, Essen have also irradiated semiconductors and diamonds. 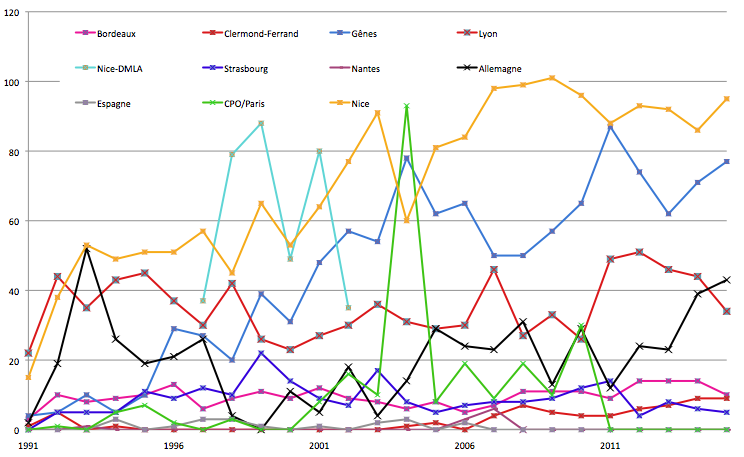 Several physics doctoral theses were initiated on some of these subjects. Medical physicists from Centre Antoine Lacassagne characterized the proton beam line in dosimetry and radiation protection designs by simulating the transport of primary and secondary particles with MCNPX GEANT4 and FLUKA codes. They have also begun to work on proton imaging. Finally, as part of the ANR ProtoBeamLine Hadron France, the laboratory of IN2P3 LPC Clermont-Ferrand installs a multimodal imaging probe assembly of the path of the protons with the premise of a PET camera. This set will be redeployed on the Proteus®One beam line of research when available. 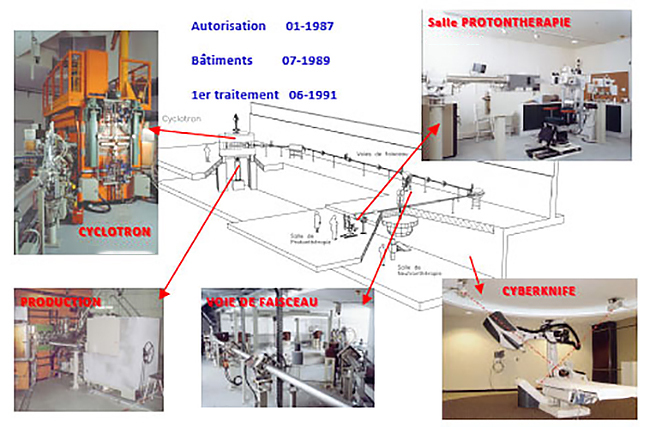 A Technitium99m (99mTc) production feasibility test is performed on one of annexes beam lines of MEDICYC via reaction (p, n) in an activator developed around a partnership between the industry (IBEL – AIMA) and the Antoine Lacassagne Centre. Another study had previously been started with a CNRS research associated with Nantes ARRONAX accelerator for the production of 86Sr. Preliminary data from experiments in the laboratory and IRCAN cyclotron show that proton beams result in an smaller increase of these proteins in comparison with photon beams commonly used. These data show that beyond the dose delivery advantage, there also exists a biological advantage to deliver protons instead of photons. Finally, irradiation of resistant bacteria has been performed in collaboration with the university of Duisburg-Essen with using doses of several thousand Grays. Irradiation of electronic chips of automobile counters were performed to quickly block them so that the industrial had enough elements to solve the conceptual fault. 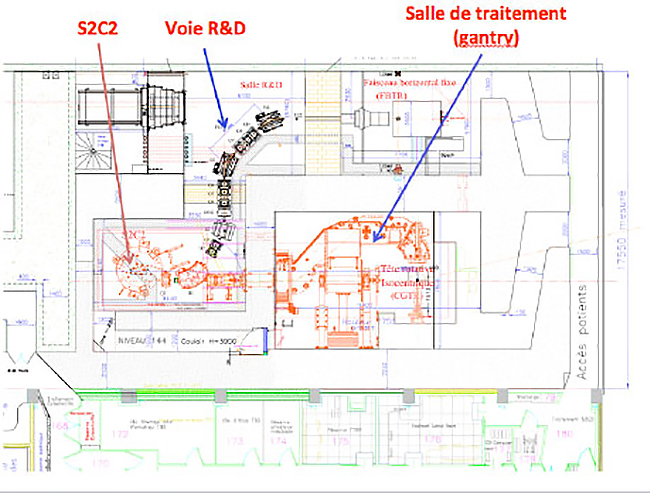 As part of the national research program in radiation therapy by heavy particles, called ‘France Hadron’, a beam line devoted to the research will be implemented by the end of 2017 (see map below). This beam line, called “R & D Track”, will host teams of researchers on the topic of proton therapy, particularly in the fields of neutron contamination, and proton imaging. A broad field of investigation opens to both physics research and in medical research with direct applications in the field of radiotherapy. The themes developed around the line of research will be the extension and expansion of the work started at low energy protontherapy. Starting in 2016 or 2017 will begin a phase IV trial for recording all efficacy and toxicity data of patients treated with proton therapy; Some treatments in proton therapy are performed solely due to the advantage demonstrated on the computer in the best dose distribution without the need for Phase I, II or III trial; the completion of Phase IV trials will help to confirm the simulated data. All patients treated with proton therapy at the Mediterranean Institute should be included in a phase IV. Many children treated for cancer in the world are included in trials to define the best treatment strategies; several trials will be opened to the Mediterranean Institute of proton therapy, particularly in the management of ependymomas (International Society of Paediatric Oncology (SIOP) EP II) and medulloblastoma (SIOP PNET 5). In the future, new proton radiation regimens will be tested for unconventional indications for proton therapy as part of Phase I / II or III trials. Hosting of proton/photon comparative studies using all the techniques of dose delivery (SFUD, IMPT / CK Tomotherapy, VMAT) on the database will facilitate the exchange and sharing of dosimetric data between CAL and clinical partners of FranceHadron (CHUG, CLB, CFB, ICPO …). Clinical monitoring of patients could be considered from the same database. Monte Carlo simulation for treatment planning. The need to gain precision in the path of the protons to reduce margins around treated volumes motivates research towards courses probes. Several IN2P3 laboratories engaged in ANR France Hadron (LPC Clermont-Ferrant, IPNL Lyon, CREATIS Lyon, LPSC Grenoble, LPC Caen, LPHC Strasbourg, Laboratoire Louis Le Prince Ringuet de polytechnique…) and especially on the ProtoBeamLine project will install experiments to refine the measurements of the course by measuring with PET, Gamma-Prompt, Compton camera… Another probe course experiment by measuring is under study with the University of Munich. For the movement of organs and their treatment with reduced margins, the projects are being assembled with the acquisition of a 4D scanner by the CAL, and the development of research projects with the enterprise Catalist or LIRIS laboratory from the University of Lyon. Proton imaging as a mean of determining the course or patient imaging will continue to be studied, following a first physics doctoral thesis on the subject conducted at the Antoine Lacassagne Center. Teams from Strasbourg LPHC and IPNLet CREATIS Lyon are also mobilized on the subject. To measure the dose in vivo, for which there is no real functional system, studies derived from non-charged particles (neutrons, protons) will be considered with IPNL as an extension of the project gammaDosi based on low energy. The dose due to secondary neutrons continues to be studied in a collaboration between CAL, ICPO and IRSN has already produced several doctoral theses in physics. The dose proton in its absolute slope will be studied with calorimetry in the framework of a project involving CAL MEDAUSTRON, the University of Leuven and the NHC London. The comparison of the dosimetric planning RaySearch with those produced by Monte Carlo computer codes will be conducted by the CAL team and may be associated with the makers of FLUKA (potential future partnership). Several research teams have started work on various themes analyzing particularly head and neck cancers, but a focus is also on pediatric cancers and imaging and the different techniques that can increase the radiosensitivity of tumor cells. In collaboration with Gustave Roussy, pediatric tumor cell lines will be put in culture in Petri dishes and xenograft models will also be set up. The reaction of these cells to radiotherapy by photons and protons will also be tested, especially the level of cytokines secreted after irradiation. Another project was initiated to increase the radiosensitivity of tumor cells targeted by proton therapy using innovative nanoparticles developed by chemists at CEA Saclay and the Institute of Chemistry of Nice. This strategy aims to increase the efficiency of irradiation with the advantage that this effect is localized in the tumor site thus treated with a lesser effect on healthy tissue.